The site pretends to have offices in Germany, Hungary and the United Kingdom yet it is registered using the identity from someone in Los Angeles, California USA. employees, agents or independent contractors. "General Terms and Conditions of Carriage" herein. AWB, accepted by us for carriage and described or identified on the front page(recto) of the AWB. publicity the receipts, bills, financial records and other messages with different contents, besides the mail advertisement, as well as the mail from the same package. into a contract with Cargo Delivery's representatives, or any other company contracted by us for air freight carriage. carriage stated herein, at the time of receipt for a shipment in the Carrier's delivery network. the shipment, we acknowledge the consigner's compliance to the acceptance conditions of the delivery. authorize us to fill it in on your behalf. By issuing the consignment document- AWB to you, you also agree to the processing of personal data. interference that might occur during preparation, storage, handling and transportation, before the package has been checked in by Cargo Delivery. release to the consignee, under regular conditions of collecting, sorting, carriage and delivery. (including customs duties) and services requested. address. If the destination country uses a different character and number set, it is advisable to mark the address also using the respective character set. service is admitted only for declared value shipments. in compliance with the details separately agreed upon. might be considered unacceptable for transportation, pursuant to these conditions. other fees, customs duties or additional costs, we are entitle to recover any such costs from you if the consignee, importer or third party refuses to make this payment. without holding any responsibility towards you or any other party. and if you decide to redirect the mail to a different address than the initial one, you will bear any supplementary costs related to the new transportation route. services in comparison to the courier standard service, for which supplementary fees are collected. other than the consigner and consignee or the persons living with these two. be liable for the non-discharge of its obligations. delivery, a value that was declared by the consigner, and to transmit it subsequently to the consignee. This option is accepted only for Declared Value mails. handed over to the consigner. be returned to it or damaged, on its expense. appropriate tariffs or the returning of all tariffs paid when taking over the delivery. informing the consigner, if this is possible. In this circumstance, the agreement will be cancelled by unilateral termination by the supplier. the acceptance of the recorded mailing deliveries. or consignee's personal data, or related to the contents of the delivery, unless the legal circumstances do require this fact. b) for the international deliveries, the time when the delivery is on the Hungarian territory cannot exceed the limits indicated in art. 11.1.2 let. a). outside the Hungarian borders if it would be subject to the standard mailing service performed by the universal mailing suppliers. for the clauses indicated at art. 13 it will not be held liable for any delays, whatsoever. delivery, as long as you can conclude an insurance policy against the special risks. collected in comparison to the tariffs applicable for the standard courier service. special indications, only the tariffs additionally collected in comparison to the tariffs applicable for the standard courier's services, will be returned . a letter with receipt acknowledgment. particulars considered to be necessary. The consigner or the consignee indicates in the claim its challenges, if the claim proves to be grounded. conditions are not observed, Cargo Delivery will hold no responsibility whatsoever. to file a claim or judicial action against Cargo Delivery, even if this is due to our negligence. settlement of such actions or claims. filed for settlement to the supplier who took over the order for that mail. supplier to recover such amount from the supplier found guilty of the inappropriate performance of that service. consignees, including the case in which the mail service is performed by more suppliers, as well as the results of these claims. the compensations (in cash, banking wire or registered mail), following that, when applicable, to indicate the bank account or the address to which the mail will be sent. service chosen, with or without declared value. be ungrounded (the mail being distributed, returned or returned in the initial state, if applicable). for packages, the insurance's role being that of covering the declared value, in case of damage compensations. provided that you fill in the section regarding the AWB insurance and to pay the afferent insurance bonus. commissioner, broker or customs agent. will be borne by you. transporters depending on the equipment and space intended for delivery. and which impedes Cargo Delivery to partially or completely discharge its contractual obligations. maximum 5 days since occurrence, and the proof of existence of the force majeure and its cessations will be communicated within maximum 15 days since occurrence. Cargo Delivery to partially or fully execute its contractual obligations. Hungarian legislation, and you will also compulsory observe this jurisdiction, excepting the case in which this fact contradicts the applicable jurisdiction. defective before to release funds to the seller. How does an ESCROW transaction work? shipping information. Additional services including vehicle inspection and title transfer may be selected at this time. parties are informed with new intructions. 3. The Buyer submits a payment by selecting wire transfer. Money order are also available on amounts 2,500 Euro and under. 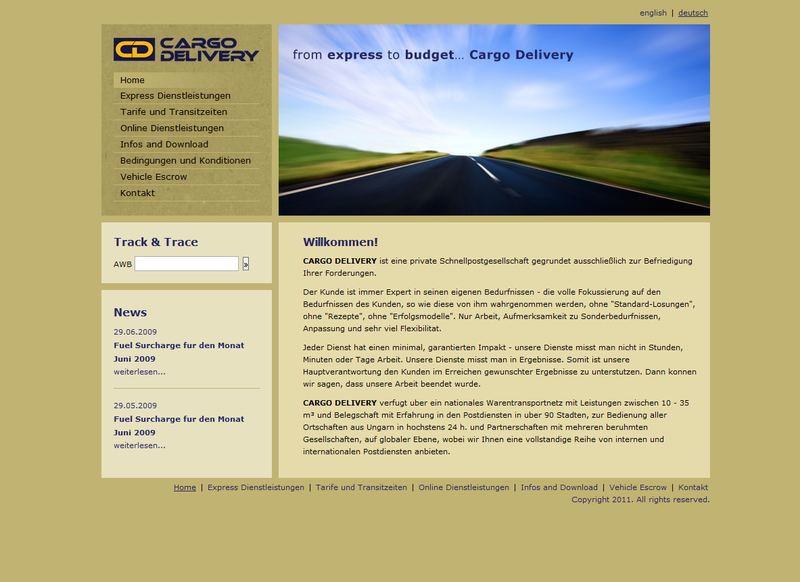 Cargo Delivery verifies the payment. Processing time varies by payment method. homes, boats, watercraft, off-road vehicles and trailers. Lien holders such as finance and leasing companies are also included in the process. 5. If the Buyer accepts the vehicle, Cargo Delivery pays the Seller by check, Money Order or wire transfer. The transaction is complete. What is the Inspection Period? The Inspection Period is the amount of time given to the Buyer to examine and value the merchandise received. The Inspection Period takes 5 to 7 days. What is the Transaction Status page? When does the Buyer submit payment? When will the Buyer receive the item? The Buyer will receive the vehicle in 3-5 days for Europe or 5-7 days for Asia, Africa or United States, after payment verification is complete. When will the Seller receive payment? Once the Buyer has confirmed that the merchandise has been received, and is satisfied with it, payment will be submitted within 72 hours. 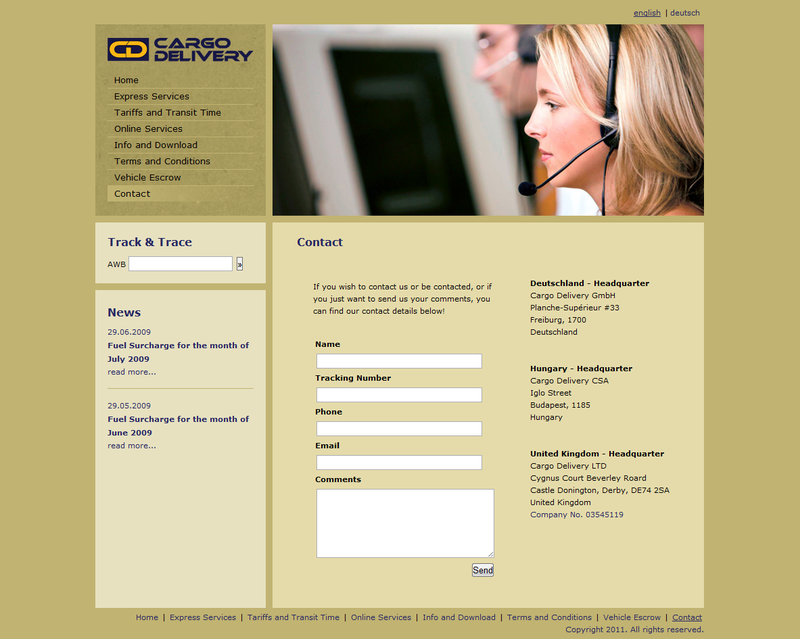 Cargo Delivery only accepts bank wire transfer from the Buyer. Sellers, however, have several choices for receiving payment.